New and Improved with Dual-Pol! 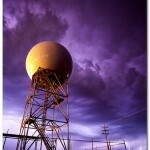 I inherited weather mania from my father, and unless you also suffer from weather mania, you may not have noticed that on August 6th, the National Weather Service Doppler radar site in the Twin Cities was upgraded. 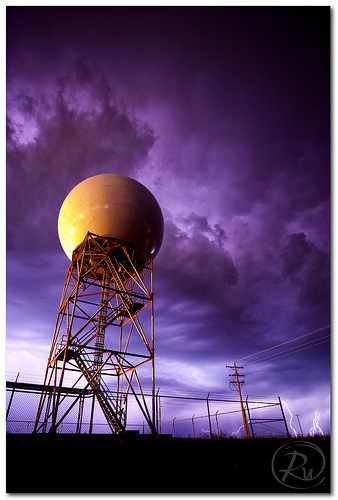 As part of their “Weather-Ready Nation Program”, a NWS initiative to build community resilience, the existing WSR-88D Doppler radar was enhanced through the addition of a dual-polarimetric transmitter and receiver. With the ability to measure both horizontal and vertical dimensions of targets (e.g., clouds), as opposed to strictly horizontal, the NWS hopes to improve their estimates of precipitation rates and types, as well as the ability to distinguish between meteorological and non-meteorological returns (e.g., smoke, birds, ground clutter etc.). Meteorologists didn’t have to wait long to field-test their new equipment. On the evening of August 23, severe thunderstorms producing golf ball-sized hail developed along the Minnesota – South Dakota border. While the majority of the storms dissipated, one cell amplified as it crossed the Minnesota River Valley. The amplification was caused by a rear inflow jet, or an area of high winds aloft that migrated towards the front of the cell at ground level. This westerly rear inflow jet, coupled with easterly winds, produced circulation and an EF-0 tornado. While the tornado was short-lived, it caused some minor damage to one structure in western Carver County. The upgraded dual-polarmetric radar allowed meteorologists to separate the rain and hail associated with the system from other debris such as corn, dirt, and wood, producing a readily identifiable “tornadic debris signature”. It would also seem that long hours spent in dimly-lit cubicles staring at computer models has resulted in a renewed sense of humor at the Chanhassen Office. Click here to watch two parodies that attempt to explain dual-pol.